Patrick Henry Rashaan Brown and Nicholas Michaels of Outfront Media Transit. Our strong economy continues to be the driver for many of the projects that are underway but future projects as well. We did see a slight decrease in consumer confidence in the later stages of 2018 with the feds threatening to increase interest rates again in the late stages of the year. This did translate into a decline in investment returns but we appear to be recovering from it. On the local front, all the trades represented by our District Council have been in a good position over the winter and with somewhat mild conditions we have continued with strong work opportunities for our members. The casino project in Everett continues to buzz with work and the Encore plans to open in June of this year. We are still hopeful of seeing another facility open in Region “C”, South Shore and Southeastern Massachusetts. 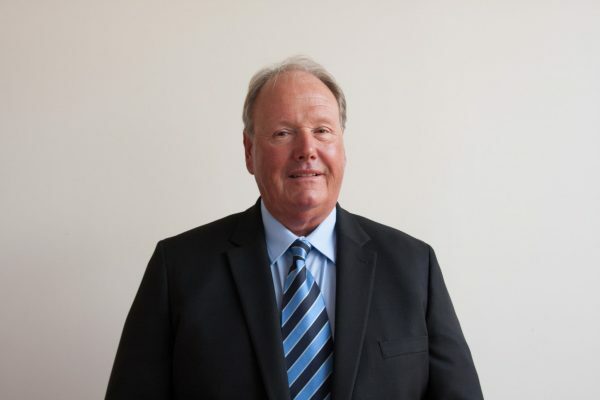 Our meetings with Rush Street Gaming on the proposed Brockton facility and our efforts to stimulate interest with the gaming commission has apparently fallen on deaf ears. We will continue our efforts in Region “C” wherever it takes us as the Wampanoag Tribe’s hopes of a facility are becoming ever so distant with each passing day. In my previous editions of this publication, I have enlightened our members about powerhouses in the southern part of Massachusetts. Currently, we still have a few workers at the Pilgrim Nuclear plant, but they are still on target with their shutdown date. Currently, talks are underway with a company that does a demo and decommissioning work. At the closed Brayton Point Power Station there are currently talks about several venues including residential. The most recent talks have included removal of the two cooling towers that were constructed not all that long ago. Guardsman tries his hand on our virtual spray systems. 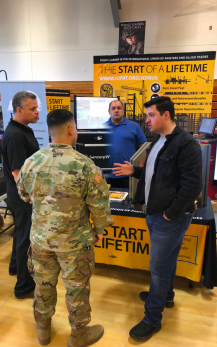 Career Fair Massachusetts National Guard: Over 400 soldiers speak with BR Chuck Fogell, FTI Director Eric Redding, Organizer Jorge Rivera, and FTI Apprentice and Guardsman Stephan Gilmore. 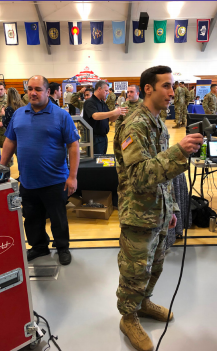 Working with all the trades at the Brockton and Vicinity Building Trades Council we put together a Career Fair at the National Guards Joint Base on Cape Cod. This was a well-attended event that was put together in conjunction with our efforts for the Helmets to Hardhats Program. Our Finishing Trades Institute was very instrumental with our successful participation in this event that was held in late January of this year. We had close to 450 Guardsmen pass through the facility and we had ample opportunity to speak with many of them. I must thank all the reinforcements I received from our Training Director Eric Redding, Organizer Jorge Rivera and one of our own Guardsmen and Apprentice Stephan Gilmore. Our display and interactive equipment were second to none at the Career Fair. Our focus here is to create a better understanding of the trades with the military and quality recruitment for our programs. We are also working on stronger commitments from the base when it comes to future construction projects. It was very successful, and we are currently planning another visit to the Joint Base on Cape Cod Massachusetts. All the local building trades throughout the state have begun a resurgence of our legislative agenda and lines of communication with our political leaders. 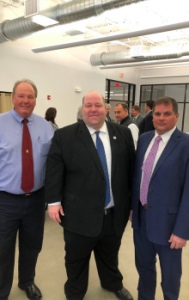 Recently at the Brockton and Vicinity Building Trades Council, we kicked off the campaign meeting with area legislators, the first of many to come around the state. We did this in conjunction with the Mass State Building Trades Council. The focal point of our meeting was to enlighten and educate our legislators on just how many trade workers are within our group. A comparison was made to many of the corporations that go up to Beacon Hill and make a claim of how many people they employ. We made a presentation that showed our building trades numbers when it comes to employees, health care, pension investments, training, and community service. Business Representative Chuck Fogell and longtime friend of labor, Senator Marc Pacheco, at a recent Brockton and Vicinity Building Trades event. Business Representative Chuck Fogell and Director Brunelle with Senator Paul Feeney. Over the past few months, I have worked closely with the Area Trades Council. This is a coalition of trades that represents service and maintenance workers at facilities throughout the state of Massachusetts and a few beyond. Recently we have been negotiating a new agreement with Curry College of Milton Massachusetts. Talks were lengthy but most of the time productive. In a highly competitive college arena where colleges are continually recruiting it is sometimes difficult to have the resources needed to facilitate the desires of the workforce when enrollment is not what was anticipated. We did, however, reach a tentative agreement that our Area Trades Council members ratified a new agreement that included wage and benefit improvements. Working with the Area Trades Council I am also involved with negotiations at the Novartis Facility in Cambridge Massachusetts. The facility’s maintenance contractor is Jones Lang Lasalle and we have had several bargaining sessions so far. Our talks have been productive to this point but spread out over a long period of time. We have extended the agreement to meet scheduling needs. During the month, I met with new members that are entering into the transit display advertising market. Outfront Media has expanded its workforce and they continue to build out the advertising industry within the transit display market. Over the past few months, I had the opportunity to attend a continuing education program sponsored by the National Labor Management Committee. Just as is expected of our members with our star program, your representatives attend educational training in many different areas that cover all the programs set forth by our District Council. Some of the topics covered at the conference were affordable care act, pension benefits guarantee corporation, pension funding, health plan costs, opioid epidemic, and trust fund portfolio monitoring just to name a few.  Over the past few months, I have worked on keeping the dialogue and interactions amongst the IUPAT National Sign Committee active. 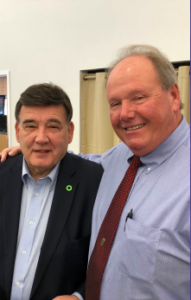 We have been exchanging ideas and information that will benefit our members working within the sign, display, advertising and specialties industries. In closing, I hope everyone goes into spring with good health and plenty of work.